In the last 3 years we have sold about 150 “1100-WW cam kits”, (Group 1100 cam kits on shelf.) they also went into every complete motor I built and into all of the Weseman’s “EIB” (engine in a box) kit engines. Buying one of these gets you every part from Group 1100, but it also makes sure your thrust washer on the cam is tight. In the last 3 years I have had 7 or 8 builders come to a college thinking that I was going to be OK with them assembling a motor with a wobbly thrust washer. They were not correct. Engines at Colleges and events I host,are assembled to my standards, because it is important to make things better, not good enough. http://shop.flycorvair.com/product/1100-cam-shaft-kit/ is the link to the products page. 1101- an OT-10 is still a good cam, and it works, but our dyno testing in 2016 at a professional shop confirmed that our 1100 cam was a slight edge in an aircraft motor. 1102- in 2014, I had some tolerance for thrust washers which rotated on cams. In the time since, I have concluded that since we know how to make them tight, and they undoubtedly left the factory tight, we should always make them so now. If they are tight, it precludes any conversation about “how loose is too loose?” which is exactly what I don’t like as an attitude about building engines. 1104- Clark’s standard gears are still acceptable for use, and their timing marks remain consistently accurate. Their “fail Safe” gears were once made in the US and were billets, but they are not made here now, and they are no longer from billet material. They still work, but I pushed about 10 off cams with loose washers in the last 3 years, and they don’t grab a cam much tighter than a stock replacement gear, and they are apparently made of the same material. My preferred cam gear is the California Corvairs US made billet gear. 1105- Some HT-817s are now made in Mexico. I have seen no quality difference, but to stay with American products our 1100ww cam kits come with Summit Racing lifters, which are made in the US. Three most popular cranks used in engines are 8409 Gen II, the Billet standard stroke, and the billet long stroke. All of these are from the Wesemans at SPA. Very few people take a different route than this, at a typical Corvair College today, all but one or two engines will be built around one of these three cranks. At our finishing schools; (Corvair Finishing School #1, Video report.) Each engine is required to have one of these three crank arrangements, because the fast pace of the work does not allow for the additional time or inspection requirements of using a crank which has not passed through the Weseman’s inspection process before the event. 1001A – The Wesemans are the only shop I use to process GM cranks. 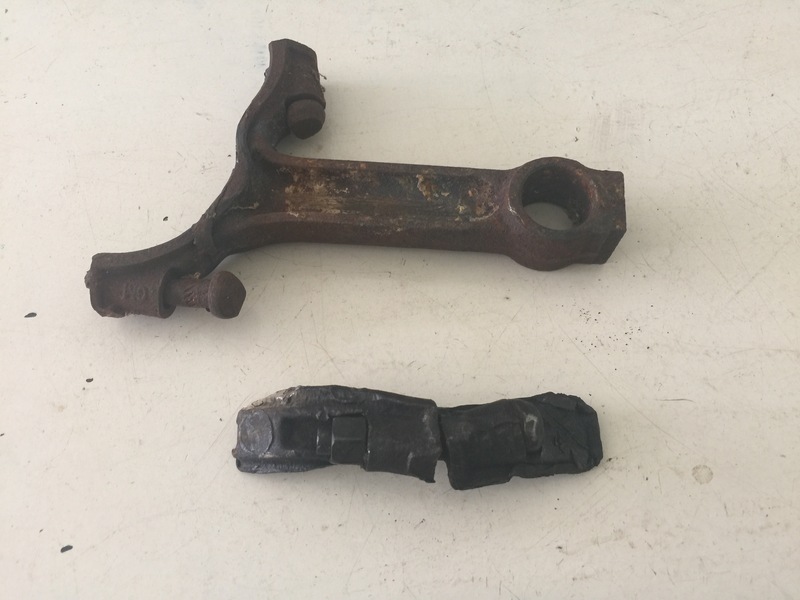 They have been doing them for many years now, and after installing dozens of them at Colleges and in production engines, I can flatly state that they have the best process on 8409 cranks. They are not the cheapest, just the best value. 1001B – The billet cranks were just getting into high gear in 2014, today they have long since become a very popular proven park. Countless hours of aerobatics have been flown on them, and they are well proven, without a failure of any kind. They are still made in the USA, to the highest standards. The original 2.94″ stock stroke which went into dozens of 3,000 cc Corvairs has now been supplemented with the longer stroke billet crank that goes in the 3.3 Liter engines. Although this sounds new, it is proven and flying, and is a regular production part: 3.3 Liter Corvair, a Smooth Power House. 1010- In the years since 2014, I have built run and inspected several dozen engines using the Clark’s in house brand main engine bearings. This have proven to be the functional equivalent of American name brand bearings. 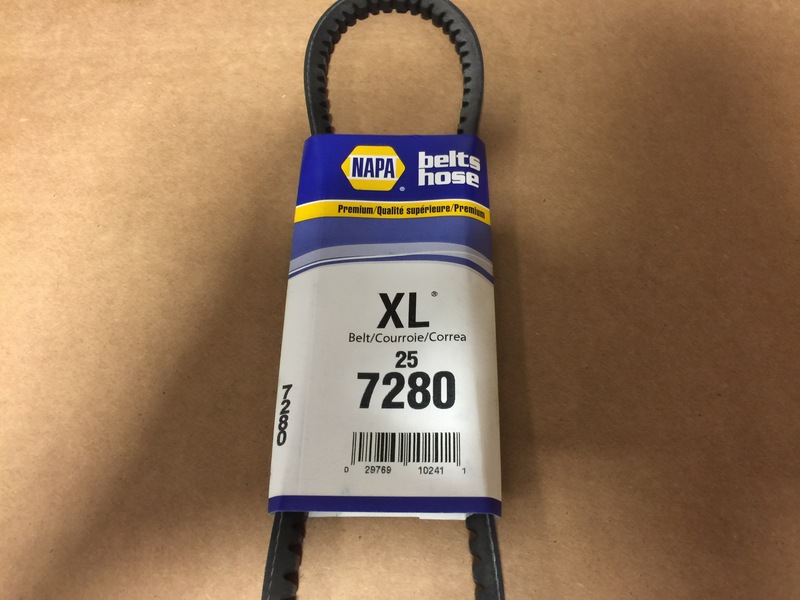 I have used them in sizes std, .010 and .020. They work. 1011- The commentary on Clark’s main bearings also applies to Clark’s rod bearings. How many Corvairs are left? I was just about to type “It takes a special kind of idiot to say such things in the face of demonstrable evidence otherwise” but that isn’t correct. Statements like that are not the utterances of special idiots, they are spouted by common idiots. I have actually had a guy flatly say they don’t make parts for these engines while leaning on a stack of new boxes of pistons that was 4 feet high. I pointed out to another person who said their are no engines available, the dozens of pictures on my website of recently finished Corvair powered planes, and asked him where he thought those engines came from. Ironically, no answer from the same guy who knew everything 2 minutes before. It has been my experience that you can’t use budget, prior experience, age, nor outlook to predict is a guy will be successful in homebuilding, however, I have noted that the guy who likes to start every conversation in homebuilding with a statement that he absolutely ‘knows’ to be true, is the guy least likely to enjoy learning, and therefore least likely to be a guy who finishes a plane. Be aware that common idiots are not just found at Oshkosh, they are at nearly every airport in the country. For a laugh, I highly suggest getting a look at this: A visit to the insane asylum . Above, a very heavy box in the back of my 3/4 ton truck in the front yard this morning. 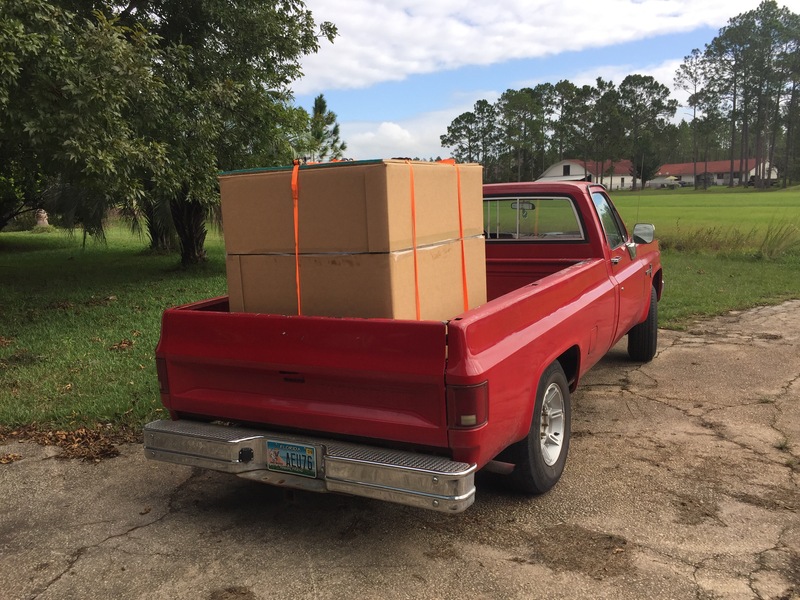 It was 48″x 40″ by 40″ and packed solid with Corvair cylinder and connecting rod cores being truck shipped to Clark’s Corvairs in Massachusetts. the rear suspension is compressed about 8″. The box has about 50 engines worth of cylinders and rods, and these are all going back to Clark’s for reboring and rebuilding. I collect them up over time, and send them back in a large lot. Think this is a big amount? I have been to Clarks shop, and this isn’t 5% of what they have on hand, and I strongly doubt that Clark’s is holding 5% of the remaining Corvair cylinders….Oh, by the way, 2,850, 3,000 and 3.3L Corvairs are all based on new cylinders and rods, so everything in this box can be applied to 2,700cc Corvairs. There are probably less than 5% of the original 1.8 million Corvairs left. If that sounds small, it is 90,000 cars. We live in a nation of 250 Million registered cars. Any reasonable person can look at those numbers and understand a ratio of 2,778:1. and probably on the order of 20,000:1 in a daily driver comparison, why you don’t see a Corvair driving down your street everyday. But only the common idiot looks at those numbers, the giant box of cores, the fact I have been doing this since 1989, and Clarks has been doing Corvair parts for more than 40 years, and still is sure enough to say there are no Corvairs left. Automotive production numbers dwarf anything aviation has ever made: The Jabbaru 3300, the Rotax 912 and the Continental O-200 are all good engines that serve particular builders. These engines have been made for 20, 30 and 60 years respectively. Corvair were produced for just 10 years 1960-69, but consider this: They made more Corvairs in the first 10 days of production in 1960 than Jabbaru has built 3300’s in the last 20 years; To match 30 years of 912s took GM till the third week of production in 1960; To match 60 years of O-200s took the GM engine plant about 50 days in 1960. And from there GM went on to another decade of engine building. It is my educated estimate, that there are more Corvair core engines remaining in the US, than the entire combined production of 3300’s 912s and O-200s. Give that some thought the next time someone tells you there are no more Corvairs. Corvair Case sale, 36 available, $100 each. Below is a picture of 36 Corvair Cases I pulled out of my hangar over the weekend. I gathered these is the last three years without even trying, just picking them up by running an occasional ad on the Jacksonville Florida Craigslist. 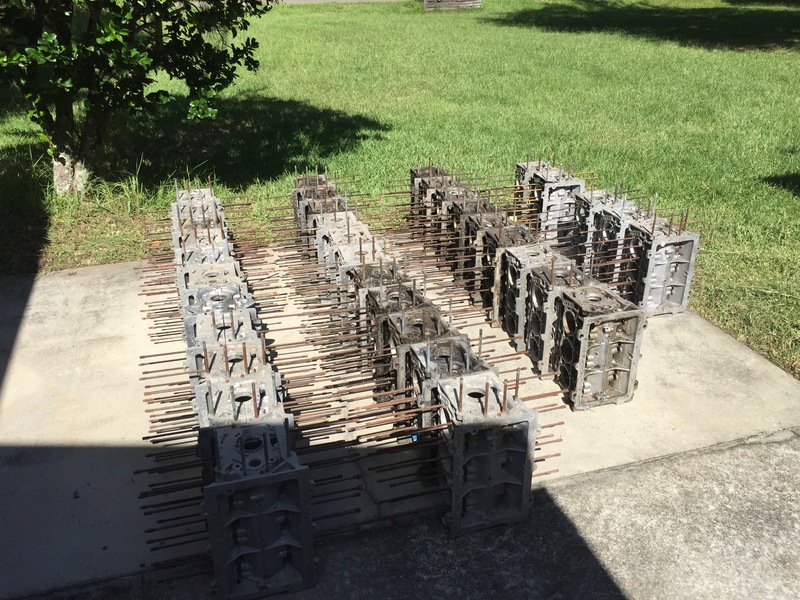 I have moved these to the Shop of Dan and Rachel Weseman, where they will be available for sale to supply our builders with an option for getting in the game or making progress on their project. Above, thirty-six 1964-69 Corvair Cases pictured on the patio between our hangar and house. They have since been moved to the SPA/Panther factory. Here is the idea: The cases sitting in my hangar don’t support my mission of getting people building Corvair engines. They only do this when they are part of a builders active project. Since Dan and Rachel already process 8409 cranks and offer Billet cranks, and also supply the finest remanufactured Corvair flight heads, having the cases at their shop allows them to coordinate a number of different build options, and integrate these cases into their plans. Picture a guy who wants to build a 3,000 cc Corvair (3,000 cc engines and parts going out the door. ), but has not yet found a core; He could start with one of these cases, have the Wesemans prep the case and bore it, he can pay the core fee on a 8409 crank ( The Wesemans have a number of these on hand) and get things in the works so he can assemble his case at home or at a College. Picture a builder who wants to get started on a 3.3 liter stroked Corvair (3.3 Liter Corvair, a Smooth Power House): he needs a case, but because all 3.3 engine have a new billet crank, he doesn’t need a crank nor does he have a core fee. Just having a case available gets him started with a 3.3 liter crank order and a group 1300/1400 piston-rod-cylinder kit. 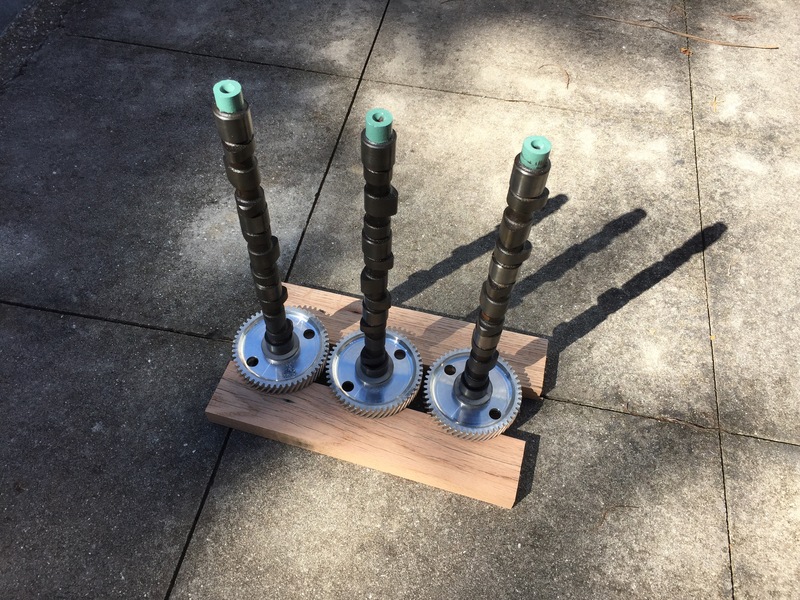 Picture a builder who wants one of the Wesemans new “Engine in a box” Kits, (https://flywithspa.com/product/corvair-engine-box/) these cores can support those engine kits. Picture a builder who sends his case to the Wesemans for modification to a 3,000 0r 3.3 liter, (https://flywithspa.com/product/corvair-3-0l-case-machining-service/) but it is found to have an issue that is uneconomical to repair. Such a builder can simply get one of these cases from the Weseman’s rather than go back out and look for another core. Keep in mind that for $100, the cases are not “mint”, they are serviceable. Most of them need at least some studs replaced. Good news is that the Weseman’s are experts at this. They can prep any of these cases to make sure it is ready to be the foundation of your Corvair Flight engine. The next time anyone wants to tell you about magic engines that have no issues or how inexpensive other engines are, please understand they are just speaking of unicorns: Unicorns vs Ponies.